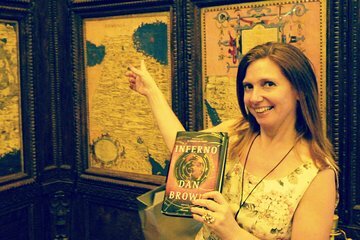 Fans of Dan Brown’s thrilling novels will love this 2-hour walking tour through Florence based on the bestselling ‘Inferno’ book and movie. Follow in the footsteps of Professor Langdon and Florentine poet Dante Alighieri to uncover hidden symbols and mysteries around the city, all with ties to Dante’s literary portrait of Hell. The search begins at the Fountain of Neptune in Piazza Vecchio, home to the majestic and legend-rich Palazzo Vecchio. From here, follow your guide on a thematic treasure hunt to seek out the hidden symbols and secret history of some of Florence’s most famous landmarks. Follow the path taken by symbolist Professor Robert Langdon, the protagonist of Inferno (played by Tom Hanks in the 2016 film), as you uncover the artwork, motifs, sculptures and other artifacts mentioned in the book that have associations with Dante’s famously fiery portrait of the circles of Hell. Stroll around the city's open-air piazzas, wander through narrow medieval alleys, and visit important galleries on your quest to piece together the mystery of Inferno, learning about Florence’s fascinating mythical history along the way. At the end of the 2-hour tour, you may be inspired to read the book all over again! Better than we expected, very skilled guide.